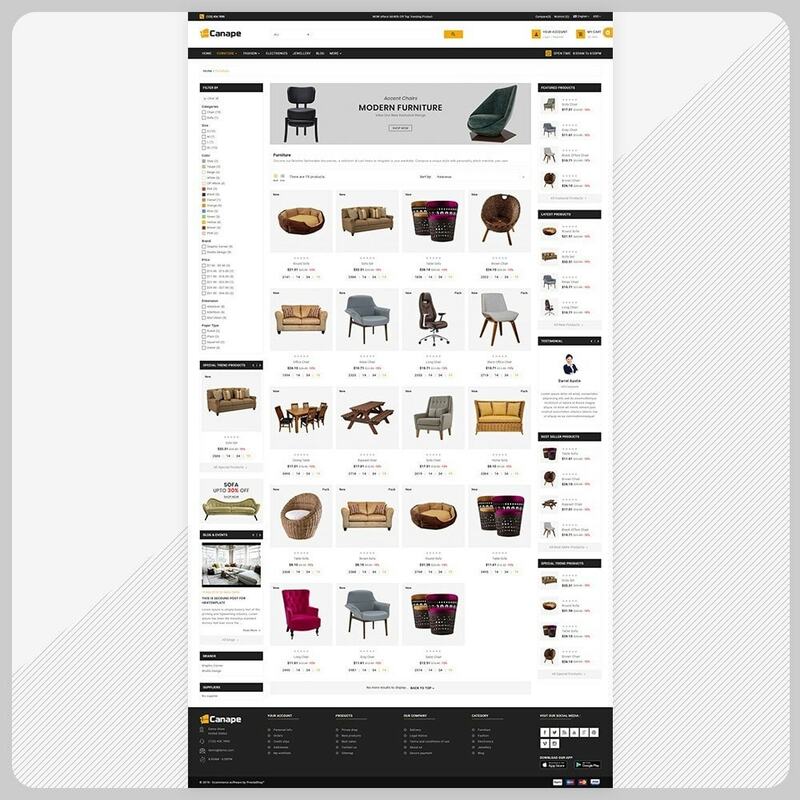 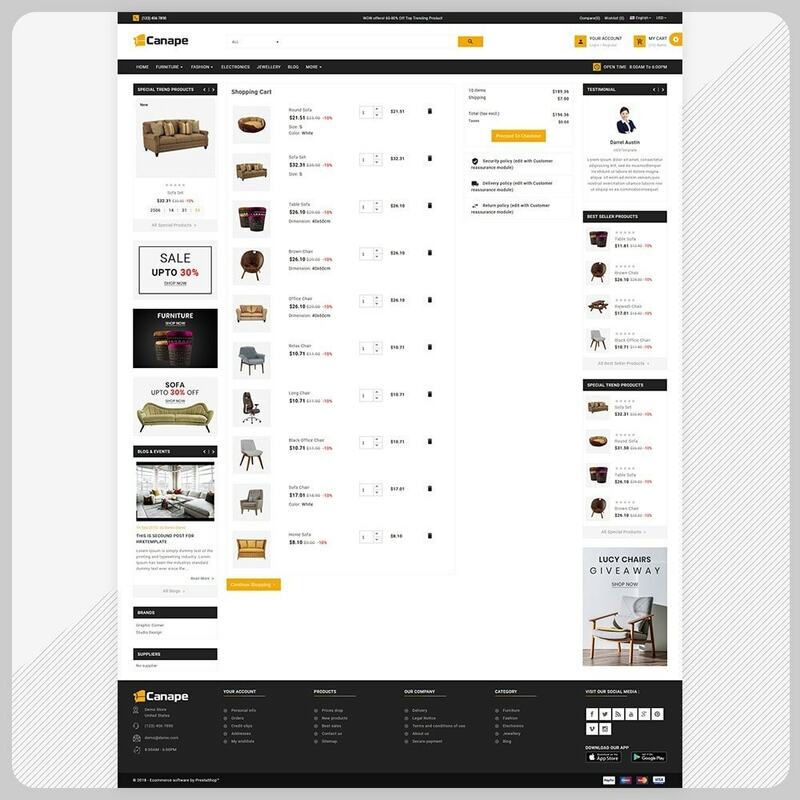 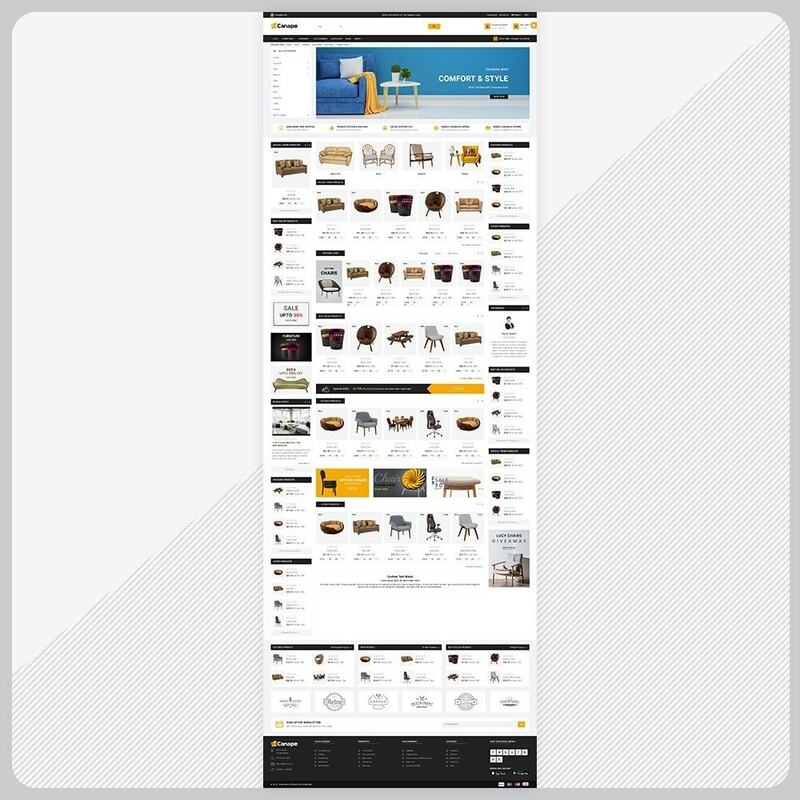 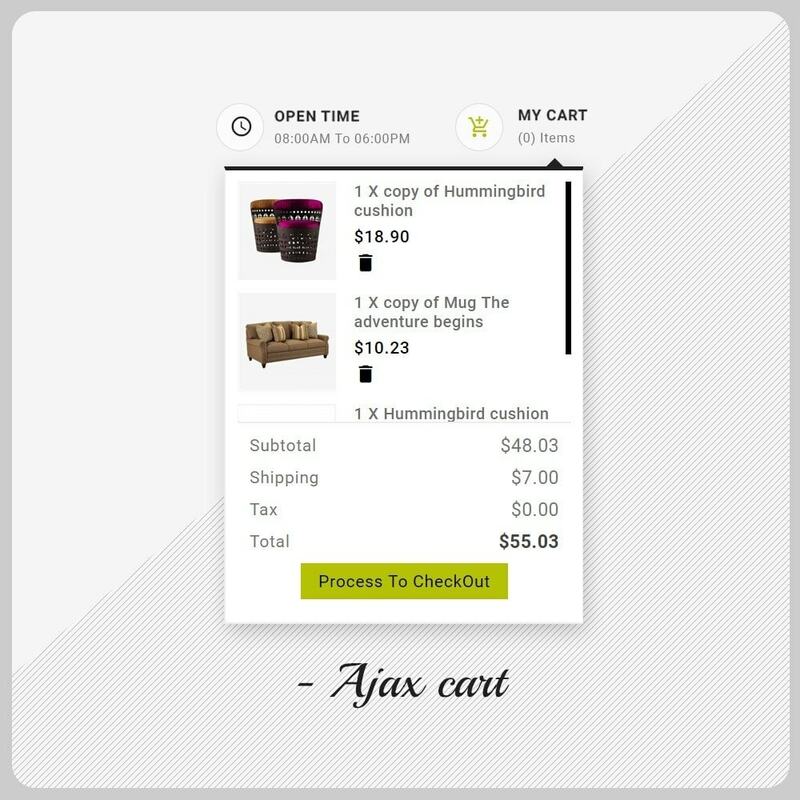 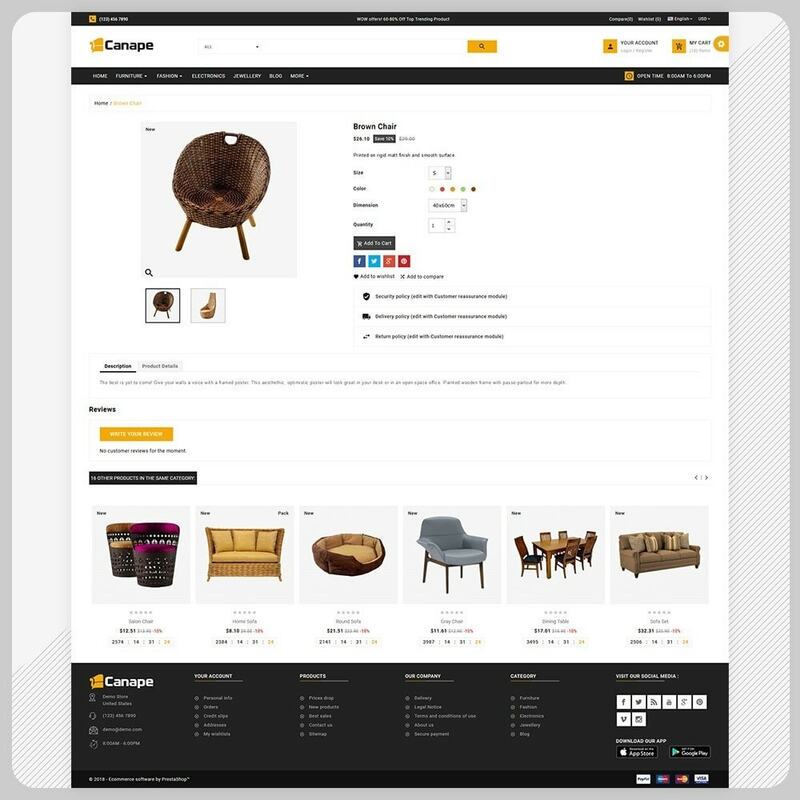 Canape – Wood Furniture Boots Large Shop Multi Purpose Premium Smart Responsive Theme is flexible and Infinite Combination. 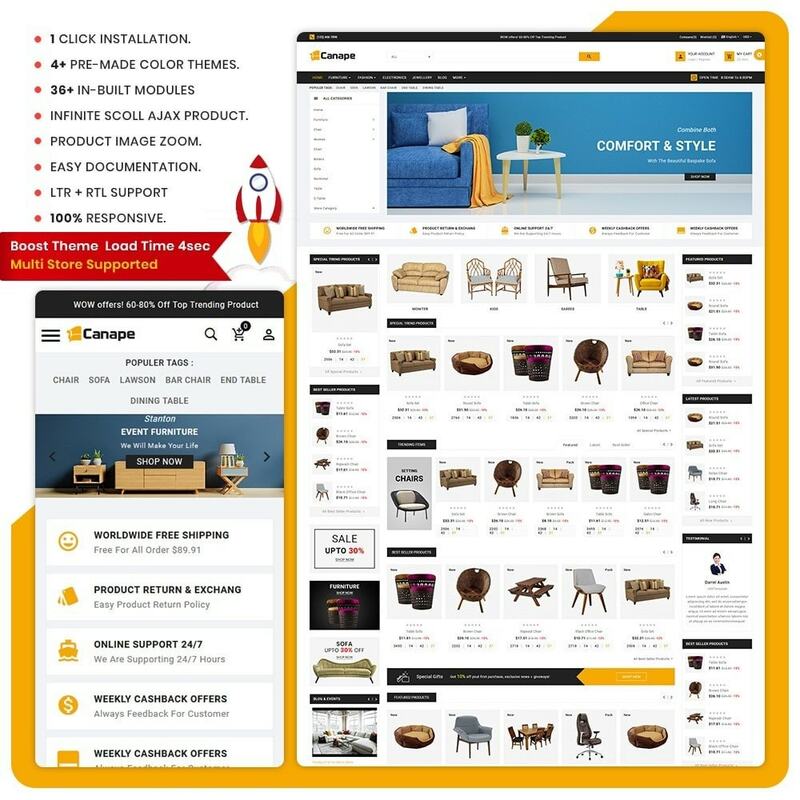 It is Support for every type of store. 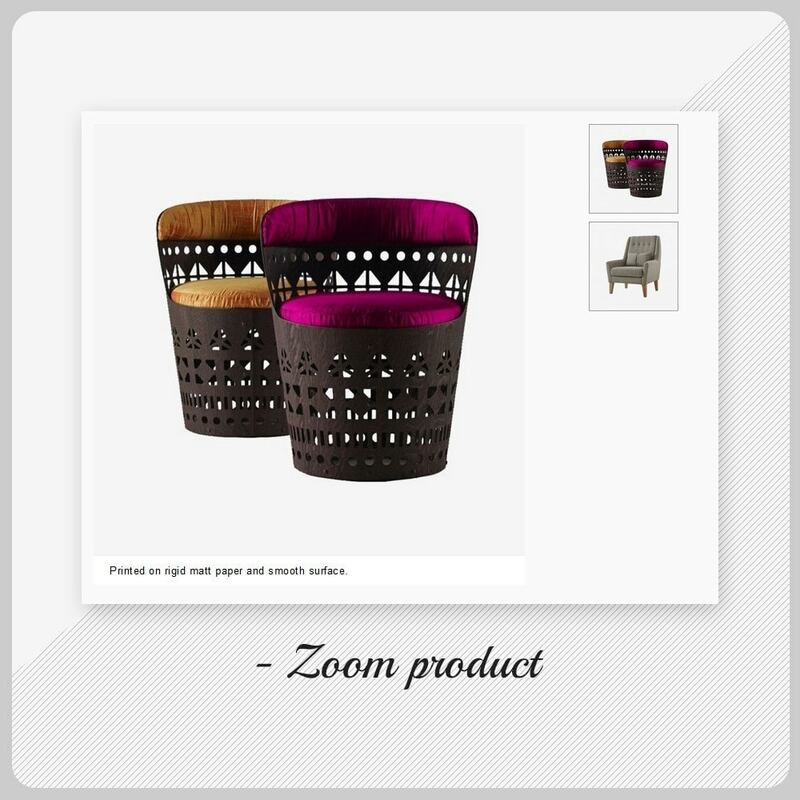 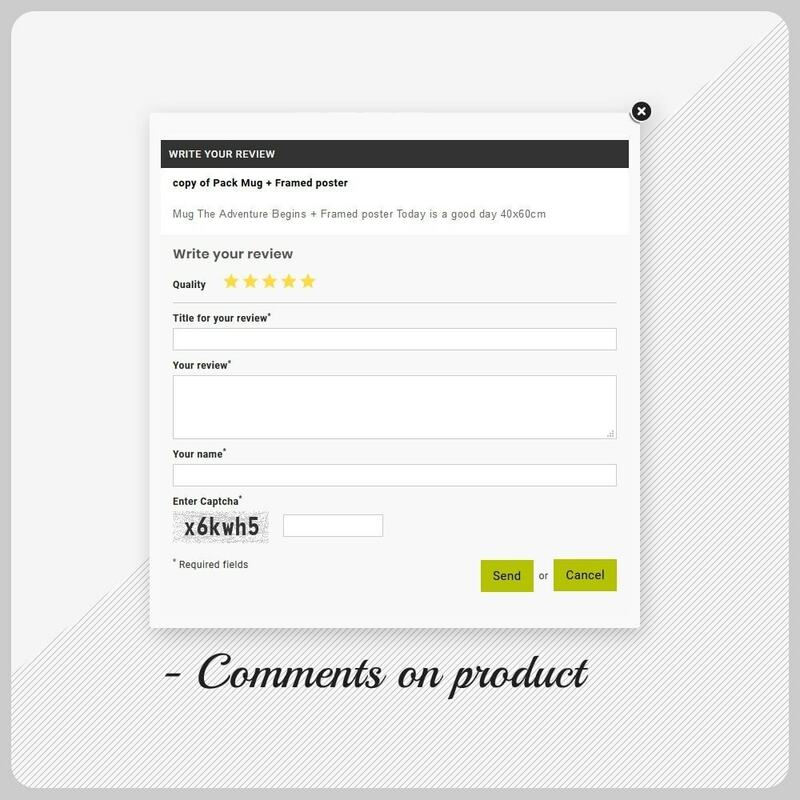 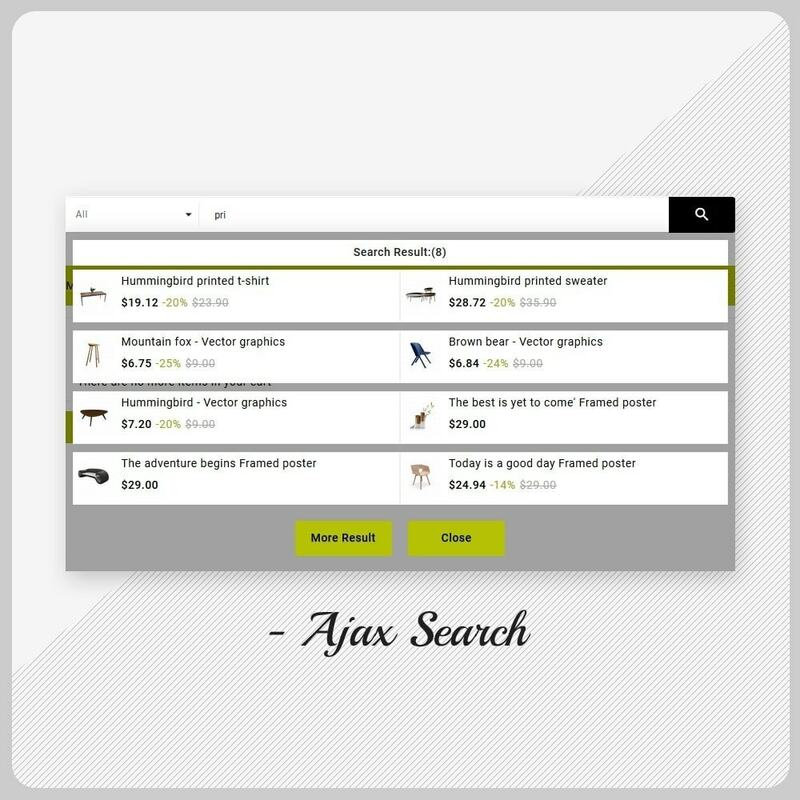 Moreover, the Fully tested compatible with all of the desktop mobile devices.